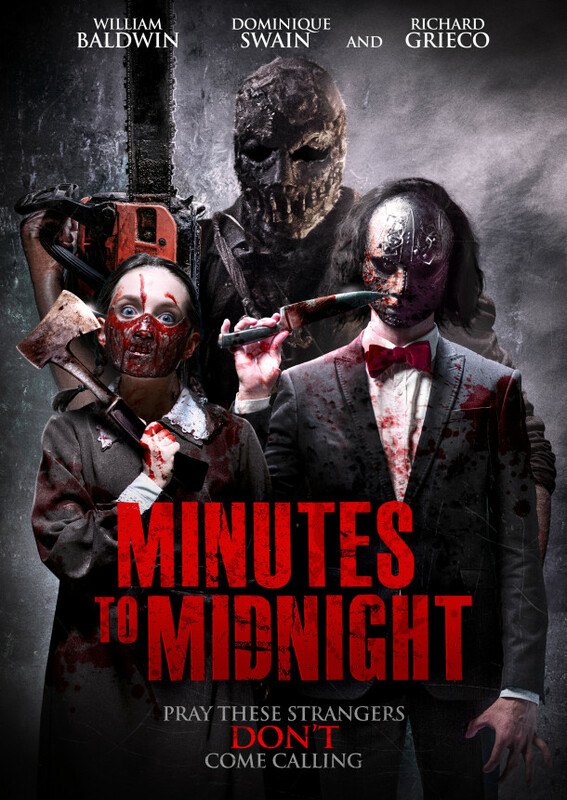 Official Trailer For Slasher Flick MINUTES TO MIDNIGHT Is Within! The Home Invasion sub-genre has become quite popular. From films like THE PURGE, YOU’RE NEXT, and THE STRANGERS comes a new tale of Terror from writers Victoria Dadi, Christopher M. Don, and director Christopher Ray comes MINUTES TO MIDNIGHT. The official trailer has arrived and can be watched down below. MINUTES TO MIDNIGHT stars William Baldwin, Richard Grieco, Bill Moseley, John Hennigan, Dominique Swain, Viva Bianca, Jared Cohn and Christopher Judge. Minutes to Midnight is on VOD July 3rd and DVD September 4th.